My original plan was to build a true “hero” pack, with all the parts from the original that was made out of metal in … well.. metal. The thing is this: I need to take my family abroad to treat my daughter at a specialist clinic in a country I’ve never been in, and which language I do not speak. Since it is quite far, all my hobby and building projects will need to be put on hold within the next 2 weeks or so, so I am trying to finish up as much as I can on this pack before it’s put into storage for the next 8-12 months. I will not delve further into what is going on with my daughter, but if you WANT to know, feel free to visit www.goEmma.se. Be warned. It is not a fun read. However: I decided that it was time to use the resin parts I had laying about and start putting the pack together! 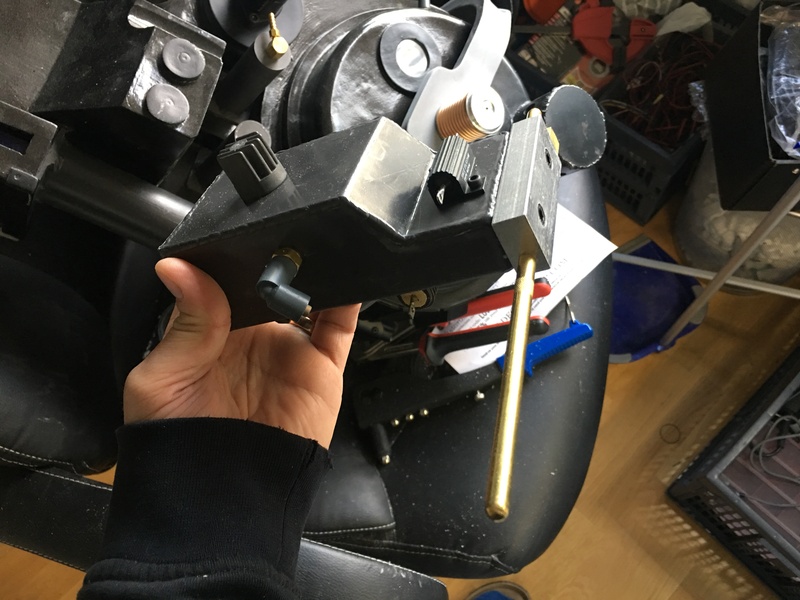 This was the easy part, but as the ion arm made from resin is hollow, and basically has no base plate, I had no idea how to mount it yet, as I want to be able to one day replace the resin parts with metal, as the original plane was. 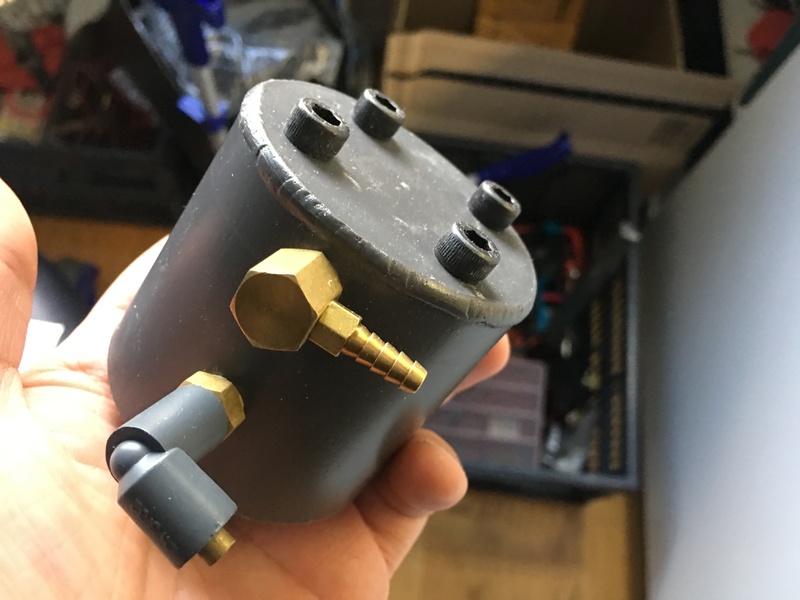 While I was thinking about it, I started drilling and fastening and putting some other parts together. I then simply drilled and fastened the beam line, and filler tubes, the injector tubes and the vacuum tube. All these were done by printing out the mount plate I designed for the metal parts to paper, tape one copy to the resin part to get the hole configuration, and one copy to the pack to drill the holes where they should be! Measure twice and drill once… At least that’s what I should have done. When I started adding things like the bumper, I realised after a while that it was a bit crooked. 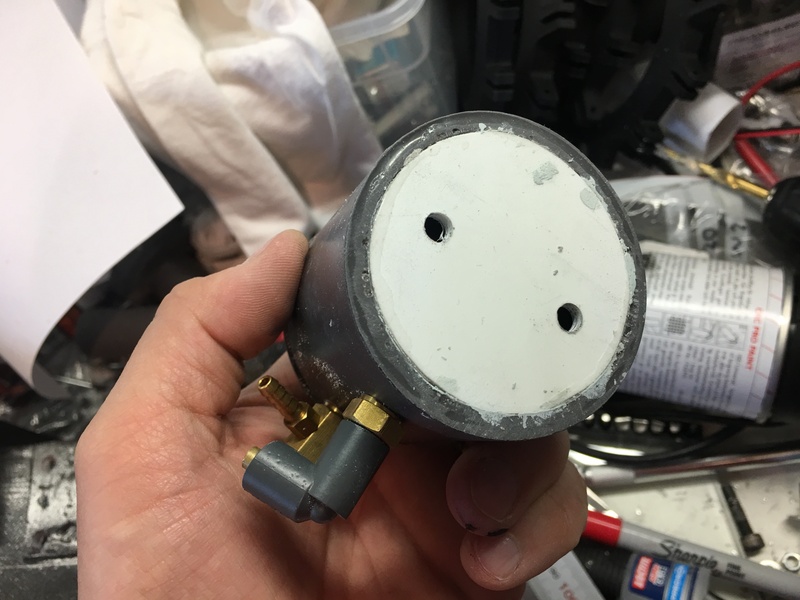 Not a big issue, I plugged the hole with some epoxy putty and measured (the second time), correct this time, and drilled a new hole. 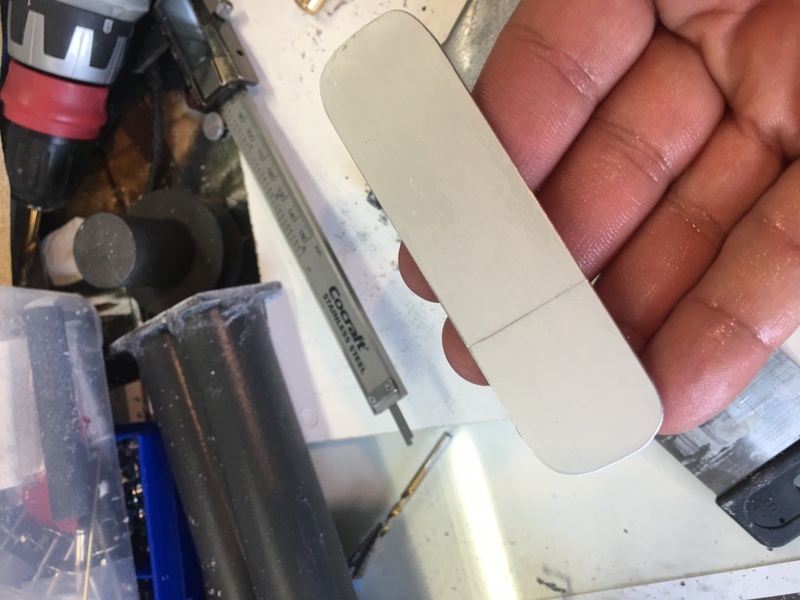 To fasten the HGA, I taped a piece of paper around the round, open edge, and used a scalpel to cut around the inside edge to get the inner circumference, and cut a scrap piece of 3mm styrene I had laying about to the same size. 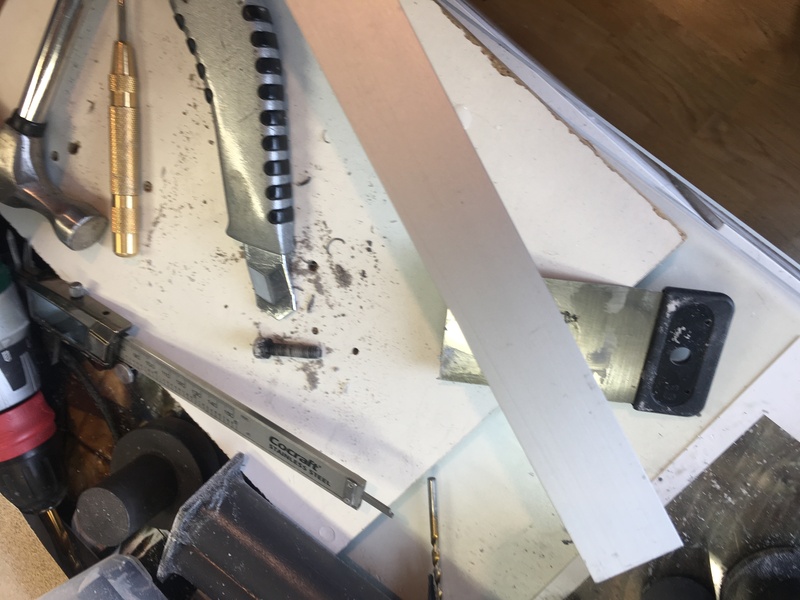 I then pressed some epoxy putty around the inner edge of the tube and pressed the styrene circle inside and let it sit until the epoxy had hardened. Once cured, I simply used the paper pattern from my virtual HGA in order to get the holes where I wanted them to be. I then tapped the holes and everything was done! The Ion arm I tried something different. Since I only really needed to make holes near the corners, I built up the inside of the hollow ion arm with two-component epoxy putty. Same stuff I used on the HGA. 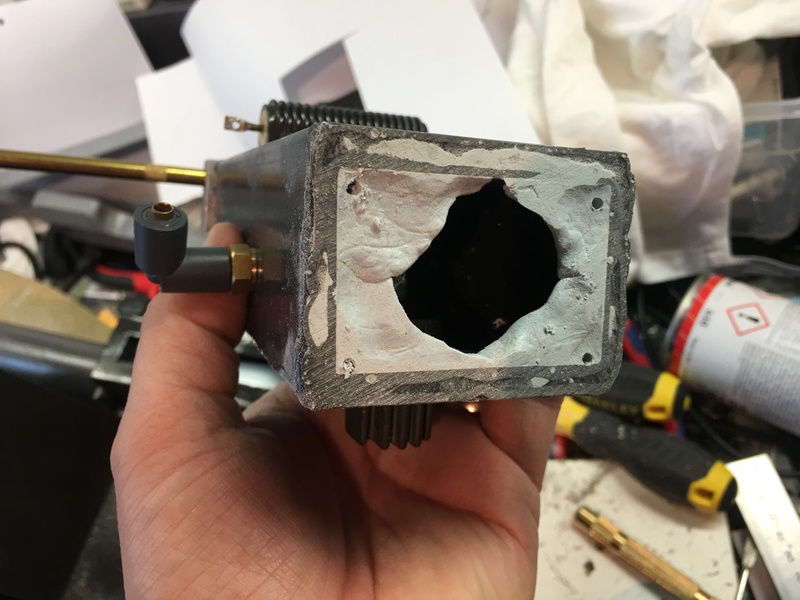 Once it was almost cured, I sanded off the chunks and carefully drilled some pilot holes. Once fully cured, I tapped these as well and I drilled the corresponding holes in the shell. Last step for tonight, was to drill and tap the holes for the cable clamp. Naturally I had to add the cable just for fun. 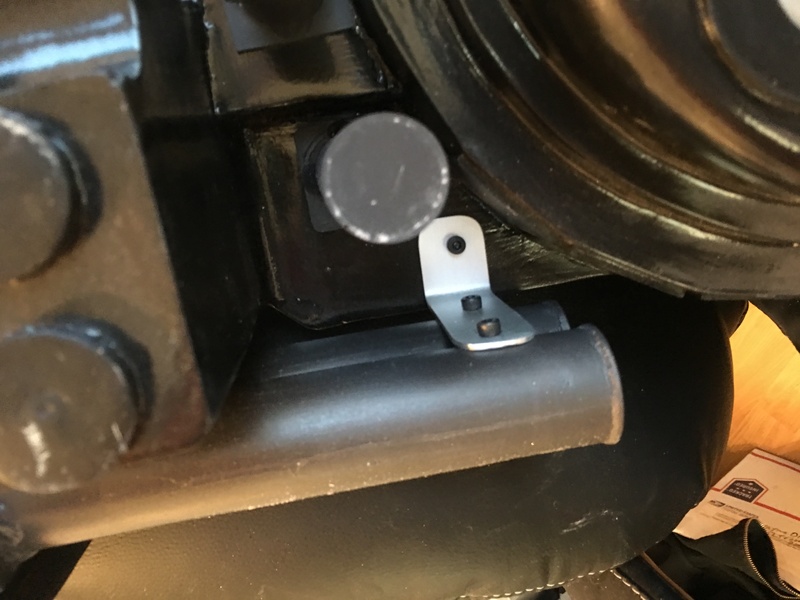 I also drilled the hole in the shell where the cable will end up, eventually. The cable needs to be quite a bit shorter, but as I haven’t made my booster tube yet, I won’t cut it just yet. I am fast reaching the end of the things that can be done on the outside of the pack, apart from painting the resin parts. I’ve got a few more holes to drill and places for cables to run, and making that booster tube, but other than that, things start to look pretty good. 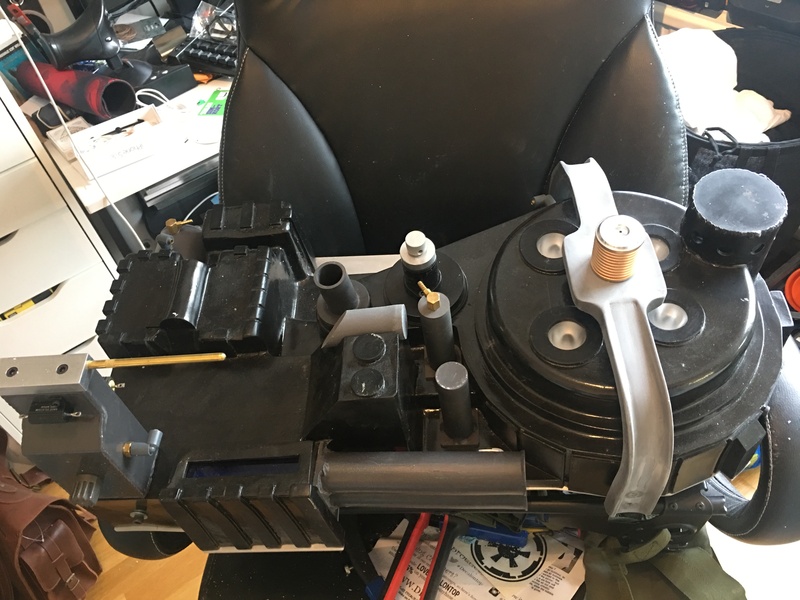 I do however still have a lot to do on the thrower, where I plan to 3d print panels for the inside of the thrower, to hold the electronics and rumble pack in place, and use the existing bolts from the outside to mount these panels. Hopefully, it will work! 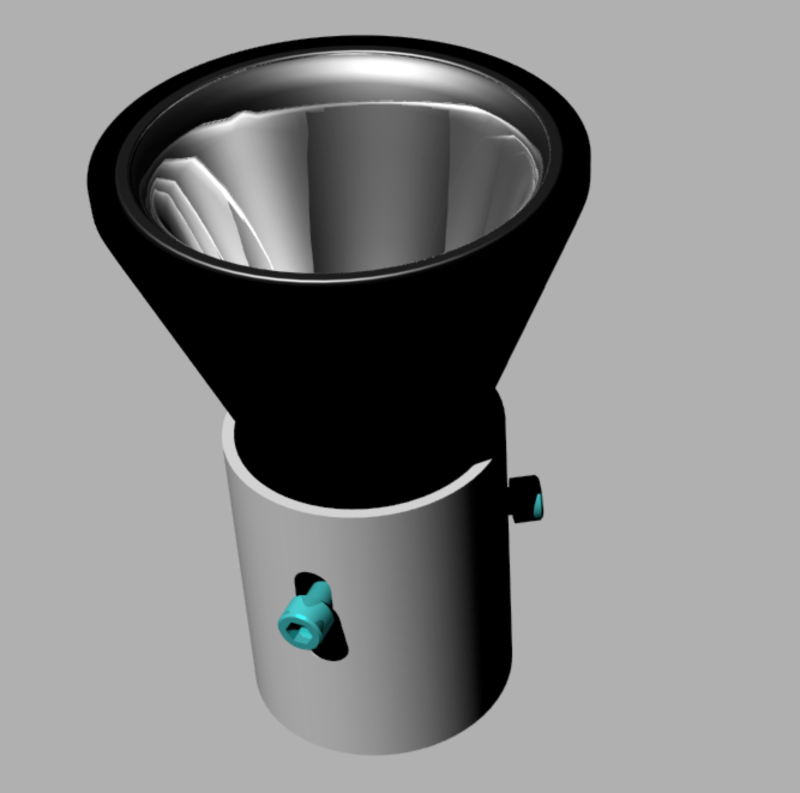 One thing I have started on designing, is a holder for the reflectors for the cyclotron that are pushed against the lenses with springs, in order to have them as close as possible. 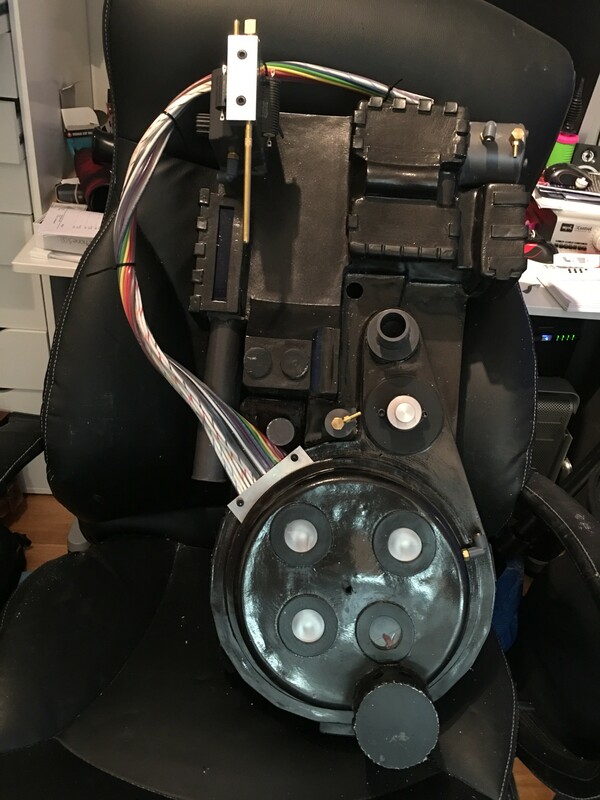 The reasoning behind this, is that I really don’t want anything at all connected to the shell, so I can simply lift it off and have everything sitting on the motherboard.